When it comes to making a film, the process is a Herculean one, to say the least. Now, imagine launching a film festival, and you’ve never run or organized one before. Oh, and you’re going to pull it off in just…four months. 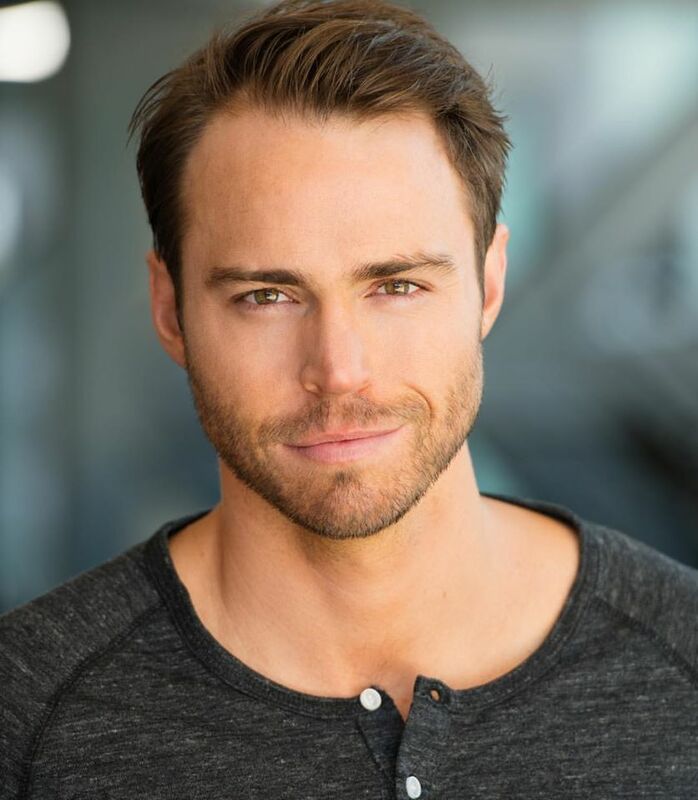 That’s the odds defying deadline that Andrew Steel, a young actor who recently moved to Los Angeles, gave himself when he landed in Hollywood and set his sights on the unchartered territory of short film festivals – and building one from the ground up. “I wanted to make my own film that was about gun control and bring together a team for that. Then, I had the idea to go one step further and that was to enlist other filmmakers and give them a platform,” says Andrew, who is Founder and Co-Director of Flicks4Change. No genre, subject matter, or method of storytelling is off limits. 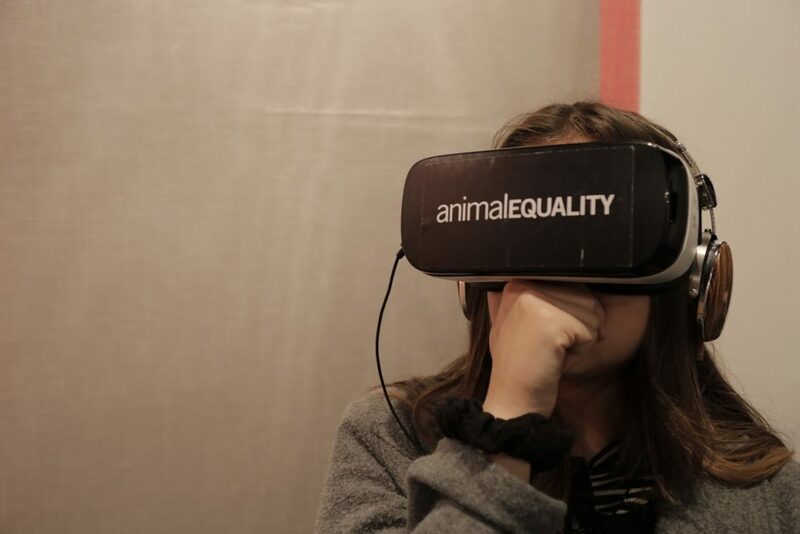 Part of last year’s diverse and robust lineup included a 360-degree, jaw-dropping and gruesome display of factory farms and slaughterhouses that had some attendees rattled with the all too real, virtual reality film Through the Eyes of a Pig from the group Animal Equality. 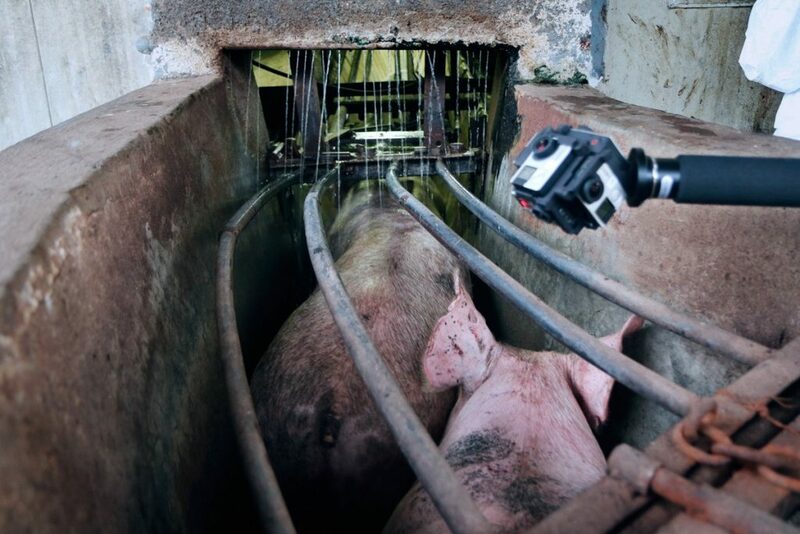 Watching only a few minutes of a mother pig’s struggle of being forcibly pinned down to nurse with her piglets, only to have them ripped away, re-impregnated, and the entire process repeated over an entire lifetime of imprisonment, will have you strapped in alongside her. Senses overloaded, you’ll be unable to escape the heartbreak, pain and waves of dread. The stench of death hanging heavy in the air. Merriam-Webster defines the word flick as “to move or propel with a light quick movement,” and this descriptor couldn’t more accurately sum up the impact that Flicks4Change has created from its extremely short, 16-week launch period to the overwhelming, positive reaction and support from the filmmaking community. 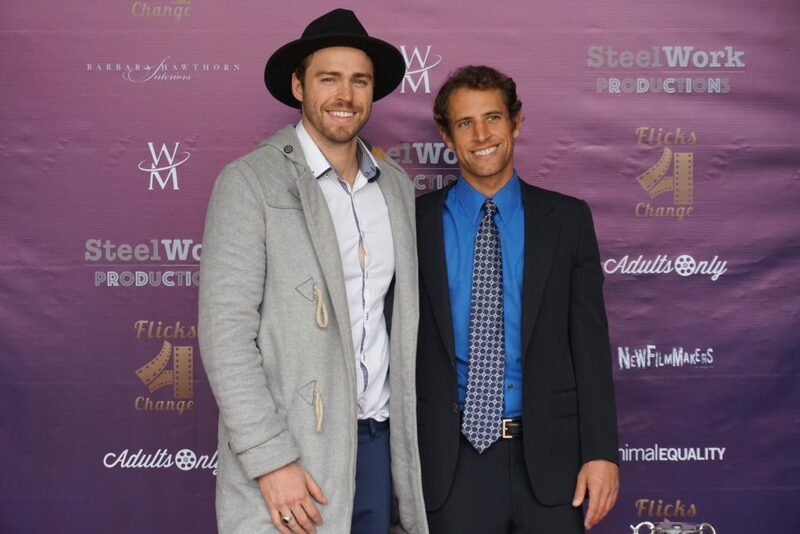 NewFilmmakers Los Angeles has been instrumental in helping Flicks4Change find its own solid footing, which Andrew discusses in our Q&A. Last year’s enterprising and socially conscience messaging screened nearly thirty films; incorporated a panel discussion following each film; and included the participation of heads of non-profit and celebrity activists. 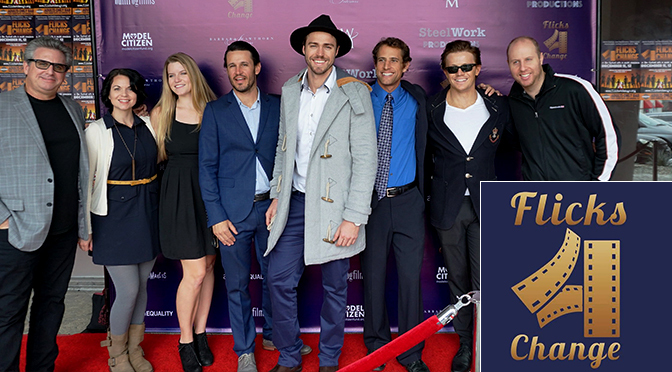 Headlining the event of last year’s inaugural event was Marci Miller (Days of our Lives) and Luke Bracey, (G.I. Joe: Retaliation, Point Break, Hacksaw Ridge). Both stars are close friends of the event’s organizers. Co-Founder and Co-Director James Hawthorn reaffirmed Flicks4Change’s commitment to breaking new ground in short film festivals. “We don’t want it to be a stuffy experience, where we just funnel people into a theater, have a Q&A where the audience raise their hand. We want it be more of a conversation and create an environment where people get to know one another. Flicks4Change’s message of “giving back” translated into profits, with 50% of previous ticket sales going to charity. Andrew Steel, the actor, met his lifelong inspiration, Frank Shankwitz, who’s the Founder of the Make-A-Wish Foundation. The two just happened to cross paths at one of Shankwitz’s speaking engagements. 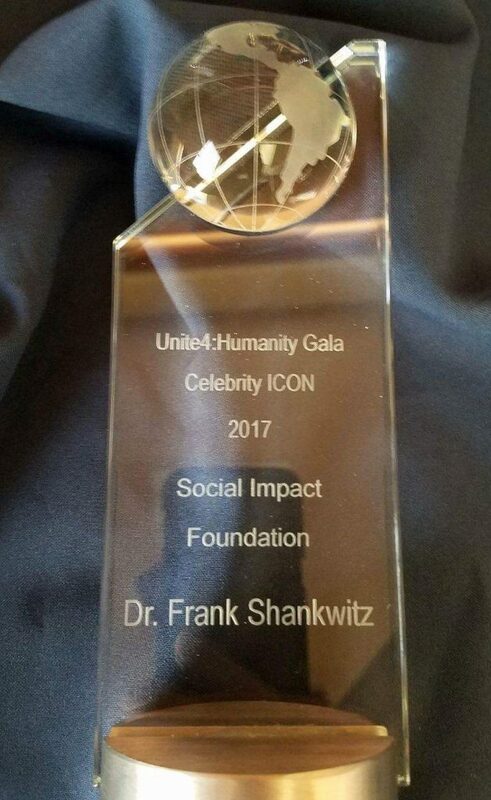 And that’s where Andrew’s own wish came true: he’ll now play the role of Frank in a movie that chronicles the philanthropist’s life up to the building of one of the most beloved children’s charities in the world. That is what assembling the right team; checking ego at the door; and viewing obstacles as just part of the process can do for your life and career. 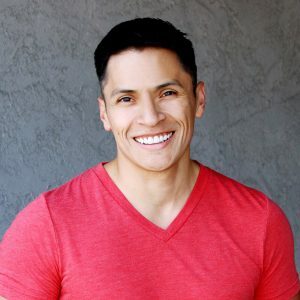 I had the pleasure of meeting Andrew several months ago during a networking event at WeWork here in Los Angeles, where we’re both members. 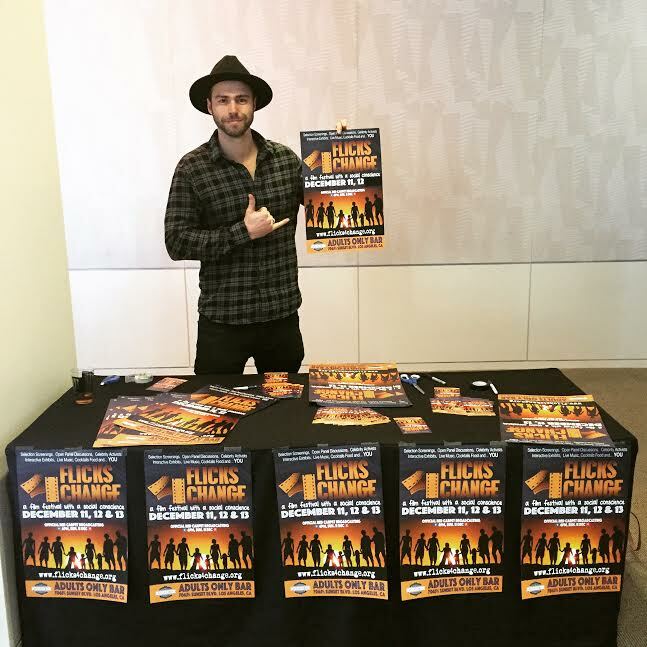 After hearing how he managed to accomplish the seemingly impossible, I had to find out what both he and James had in store for this year’s Flicks4Change festival. Plus, how their passion and persistence paved the way for emerging filmmakers and activists to have their voices finally be heard. NR: What makes Flicks4Change a unique film festival? AS: Flicks4Change is a film festival with a social conscience, so all the films have a pressing social issue in them. We really want to get a cross-section of all different types of issues we find in society – and not just show the films – but talk about them and really engage people. We can create a positive change and come together as a group to help each other. JH: We saw an opportunity to help filmmakers that had their own passion project. Andrew wanted to make a film on gun control, and we know how hard it is to create a film, to tell a story and to do it well. A lot of films that include a pressing social issue might not get their full, fair shake at other festivals. We wanted to give these filmmakers a platform not to just have their artistic voices heard but their humanitarian voices heard. AS: Secondly, I wanted to be able to use the proceeds to give back to worthy causes: Specifically, causes that may be central to our screening schedule. NR: Was there a particular film that resonated with last year’s audience? Aban + Khorshid was set in Iraq and is about two men that are in love with each other. And in a bunch of Middle Eastern countries and even around the world, homosexuality is punishable by death still. It’s an innocent love story, and they basically get put through the system, and you see that love just get shattered. That hit home. Another film that caused a bit of a stir from the group Animal Equality, Through the Eyes of a Pig [project iAnimal]. Not only was it incredible, the cinematography was awesome, but it was a virtual reality film. 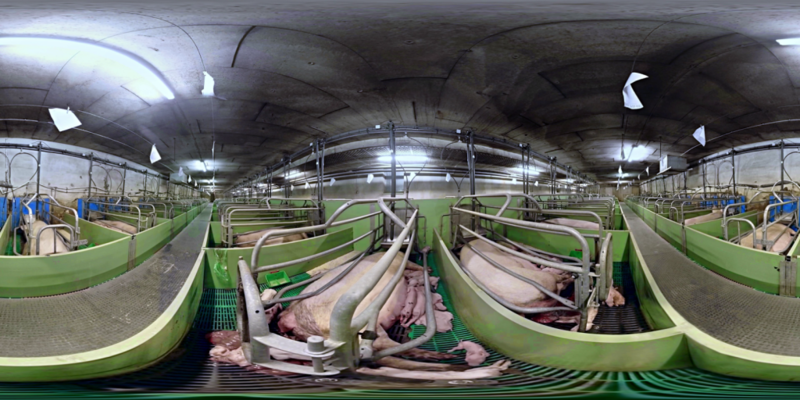 It’s a 360-degree world: You look around, and it’s set in a pig slaughterhouse. It goes from the little baby piglets suckling at their mother’s side: she’s pinned down her whole life: she gets inseminated and re-impregnated. There’s no light; you can’t move around. She never gets to nurse with her piglets. Then, the boys go to get fattened up, and the girls get put in the same position as the mother. Whether, you’re a vegan, vegetarian or a meat-eater, you can’t help but just go “these animals don’t deserve that treatment.” A bunch of people had the opportunity to step outside and not watch and you gotta respect that just as much as the people that stayed to watch it. But it’s having the education of you see it, and then you can make an informed choice. The thing about that film: They were treating pigs legally. 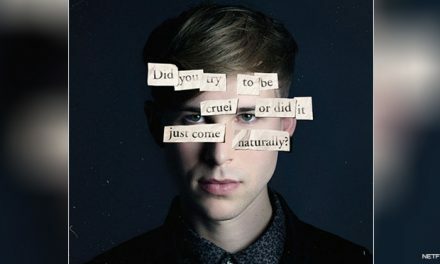 It was quite inhumane, honestly. NR: In pulling off a “first” in short film festivals like Flicks4Change, what was the reaction with the films you showcased? JH: Some of the audience members that I spoke to really want to be able to access that content – and other films that we liked that we weren’t able to screen – online. Our goal, this year, is to have a community year-round through our web site, so that people can stay engaged and have access to the content for the filmmakers that want their film to be linked, so they [the online audience] can see it. We pulled it off by the skin of our teeth and consider ourselves very blessed that it was a success (laughs). Our sponsors and partners were happy, and we’re excited to have them back. NR: How many films were submitted last year and how many live online? AS: I think we had about 80 films. JH: There were 29 films that were selected in the end over three programs. Each program was about two hours of films then an hour of panel discussion. The biggest categories were documentary, scripted comedy…we had music videos, trailers, animation, spoken word. NR: What is the criteria for submitting to your film festival? JH: A “first premiere” is not a requirement for us. In our minds, if a film has been out for two or three years but didn’t get a lot of exposure, it’s new to our audience. If it’s powerful and it’s going to spark conversation and inspire change, we wanna screen it. The film must either feature or include a pressing social issue facing mankind. We’re looking for content that’s under 50 minutes; we want to be able to show as many films as possible that reflect the whole mosaic of causes that are important and worth talking about. AS: If there are films that are longer, and with the filmmaker’s consent, we might potentially show a section of that film, whether it’s 20 minutes just so we can get the “turner” of different issues. I think our main focus is shorts. JS: All genres are welcome. I think it’s really fun to open people’s eyes to that: How you can use art and filmmaking in any number of ways to convey an impactful and entertaining message. NR: And this year’s film festival is set for November. Will it be another three-day event? AS: Sunday, Monday, Tuesday, potentially Wednesday. JS: In the evenings: six to midnight. Maybe we will do a feature night. That’s still up in the air. NR: What really struck me is when you said this happened in four months (from ideation to execution/premiere). Can you take me through the process? AS: Fake it ’til you make it (laughs). I think it started from shooting at the hip and from the mouth as well. I had some ideas of where we were going, but I’ve never run a film festival. I’ve put on events before and that’s something that I love doing…that thrill of putting something together. I love film as well. I just knew we needed to get good films. We needed to get an audience. Then, we needed to get a web site, business cards, and posters. Each day was “what do we need right now” so that other things can keep going. Every day was write proposals for sponsor packages and let’s try and land a 15-grand sponsor. It was just this moving, ebbing, flowing thing, and it just comes down to catering the day, getting the musicians, and making sure the screening works. JH: It was a barely controlled chaos because neither one of us had done this before, but that’s also what makes it so exciting. Similarly, if you were able to look through the aim of a rifle, and you were to look at a target a half-mile away, it’s really hard to focus on it. But as that target comes closer, the date comes closer. It becomes clearer what you need and how to get it done. The more you start talking to people and they start telling you what they’re able to contribute…you start figuring out who can help with what. You start to build your staff; you start to delegate. We had to learn to be very patient with one another, but we worked very well together because we both approached things in different ways but we had a common goal and common mission. Our strengths and weakness complement each other very well, and that was very fortunate for us. AS: Whenever you have a big idea, it’s easy to listen to people when they’re saying “no,” but people have been just saying “yes” because people wanna get involved and there is the hole in that market for something altruistic, and it’s positive. JH: We have to give a huge shout out to NewFilmmakers Los Angeles. Larry Laboe started what was a film festival ten years ago, and now it’s become an entire community. His mission is to give new filmmakers a leg up, a place to have their film screened – of all genres – and to connect people in the community. His focus is on helping people get started and ours is to get people talking and to make a change and live the best version of their lives, using art as the medium to do that. He’s just been so incredible in mentoring us and providing resources and guidance. NR: There is something to your cause but also in your transparency, honesty, and being up front with people. Often in this town, people oversell in order to get others to help them and things fizzle out. What’s the secret to getting people to jump on board with an ambitious film festival like yours? JH: I believe in under-promise, over-deliver, and we were very honest in that we didn’t know what we were doing, but that we were going to do it come hell or high water. That was one thing we could promise. The dates were set; we’re gonna have a venue; we had films coming in; it was happening. You have to tell everybody you’re doing it, even if you don’t know how the hell you’re going to get it done, and you have to communicate that “why”. Then, people can get infected with that enthusiasm…they want to be a part of it. When I met Andrew – and Flicks4Change was still an idea at that point – I told him about my project LEAP, which is about people coming to a crossroads in their life and they are [feeling] unfulfilled. They know that they have a dream, yet they are struggling to find the courage…the faith to take that leap and go and do it. A lot of times, stepping out into the unknown is kinda scary. Making your way in the entertainment industry can be very daunting, but whatever that dream is that’s calling to you, I think everybody faces that same challenge. A passion project kinda takes over your life and it should. A lot of people, when they have an idea, they protect it and they’re nervous about sharing it because they don’t want to be exposed to say, well, I’m gonna do this thing! And then if it fails, they feel sheepish. So, because of that fear, they don’t share with people. Well, it’s very hard to get something off the ground that way. You have to talk to everybody about it as if it’s a sure thing. Not because you’re over-promising, but because you’re determined to do it. And if you do that, the next thing you know, it becomes a reality! 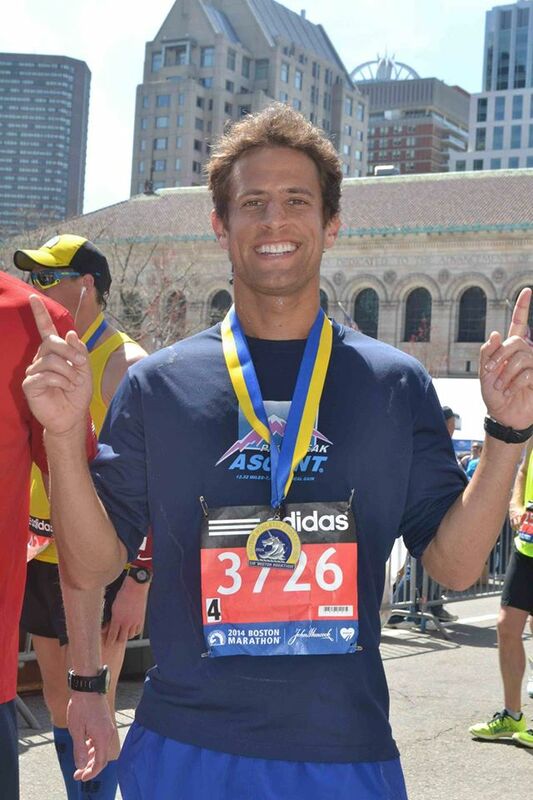 So, that’s I think one way we built our team and got to the finish line. We knew we were going to do this thing and weren’t afraid to fail. We told everybody about it! NR: Can you tell more about the sponsorships? AS: I wouldn’t say we mastered the sponsorship route. The biggest thing is finding a brand that aligns with your cause and what you can do for them. JH: It’s really about having an open and honest conversation, because it’s building community. As a beginning film festival, we didn’t have a lot to offer in terms of audience or assets, but we would just be open and talk about our mission. What really helped us be profitable in year one was partnerships, where people said, “look, it’s a benefit for us to be involved in this experience, to meet with your audience, to have a booth set up at your festival, and in exchange, we’ll do this for you or cover the cost of that.” Having that credibility is critical for anyone looking to do what we’re doing. NR: Tell us about the persistence required for this type of large-scale effort with the short turn-around time, especially with the first event? AS: The biggest thing we were defying was anyone thinking that we couldn’t do it. JH: Including us at times! I think the persistence came on days when we were like “we have so much to do and we don’t know how we’re gonna find the time to get it done. We still have bills to pay and jobs (laughs).” The persistence for us was focus because of the short time-line. Focus more than persistence when you’re dealing with a lot of moving parts. NR: Also, setting realistic expectations? JH: What is absolutely essential versus what is on our wish list and being very honest…not letting perfect get in the way of good enough because if we did that, we wouldn’t have had a festival. NR: How has this festival changed each of you as a person? JH: We were so excited to get up and work on it, and without a project like that, you can kinda get caught in a malaise, a grind, the struggle…about trying to make it in the entertainment industry. That can feel like a very selfish endeavor and pursuit, but when you make it about community, something inside of me starts to change…the way that you look at your fellow man and what you wanna do with the short time you’re here on this planet. NR: The timeliness with what you guys are doing represents this resurgence in grass roots activism, whether it is in the arts, government, or education. It’s creating your own vehicle for social change. Did you see a void in the film festival circuit and thus the need to fill it? JH: Yeah, I think we had the opportunity to create something very unique that doesn’t exist. We were able to create a niche, where not only is it a festival, it’s a community. We just don’t want people to see the film, and go, “wow, that was moving,” and then move on with their lives, which is why Andrew was really keen on having a discussion section after each screening with the filmmakers, and heads of non-profits that represent the causes that were in that screening schedule. And having celebrity activists come and talk about why that issue is important to them. NR: Can you tell me about some of the celebrity activists that participated in last year’s festival? AS: Luke Bracey was our poster boy. He was the star of Hacksaw Ridge, Point Break. JH: Marci Miller is a series regular on Days of our Lives [the character of Abigail Deveraux]. She’s a very dear, personal friend, and she was going to be doing live music for us. She’s a very talented singer. We’re really excited for this year. I’m not going to ‘under promise and over-deliver’ but we have a couple of really good leads…some big celebrity names. NR: Short film festivals and film festivals in general like yours are engaging people in conversation about issues affecting their everyday lives. Can you tell me more about that? JH: Starting that conversation is so important because people were shocked that Trump won, which means that we didn’t know that there was all of this discontentment in our own country, which means people with different viewpoints weren’t speaking with another. Even though neither one of us voted for Trump that doesn’t mean we don’t want them to give their point of view and why they voted for him. It’s important to have that discussion and come to an understanding. The fact that we were shocked means that we don’t understand. People are involved in their own world and with social media – “Like” meets “Like” – and that’s human nature. That’s okay. It’s up to us to “make America great again.” It’s not Trump, it’s not Hillary, and it’s not anybody that could’ve been in that Oval Office. It’s us. So that’s what inspires me to be a part of this festival and help grow it. One time I tried a pay it forward experiment at a Starbucks. When I got to the window, I looked at the guy, his nametag on, Jesus. He actually went by Jesus. NR: James, I heard you say in a podcast that “logic gets in the way of inspiration” can you tell us about that, because I think a lot of people get stuck in the mindset of overthinking things instead of just doing. JH: Our brains work linearly, “if this, then that.” If you get bogged down with seeing a goal, seeing an idea that’s way out there, and you start thinking about all the things that have to happen and you don’t understand how you’re gonna make all that happen, it’s very easy to quit before you start. But if you take a leap of faith, you’re off the cliff. You’re gonna have to figure it out as you go, and I think that’s the best way you gotta be. Find something to have faith in, whether it’s yourself, a higher power, and the fact that you want to live your life a certain way, and the journey is the thing. Put faith in that and not be so outcome oriented. Inspiration can take you where you wanna go. NR: Andrew you also share this same type of philosophy with changing a “but” to an “and” – not looking at things as obstacles, rather just part of the process? AS: We get in our own way a lot like James said; you give up before you begin. So, we’re gonna make something that you don’t think is possible, possible. The formula is: Say something you want, and then say something that’s stopping you. It’s like, when other people say to you, “that’s not going to happen.” If you just switch that “but” to an “and” it’s classic improvisation to me. I think a good example of that is putting this film festival together. 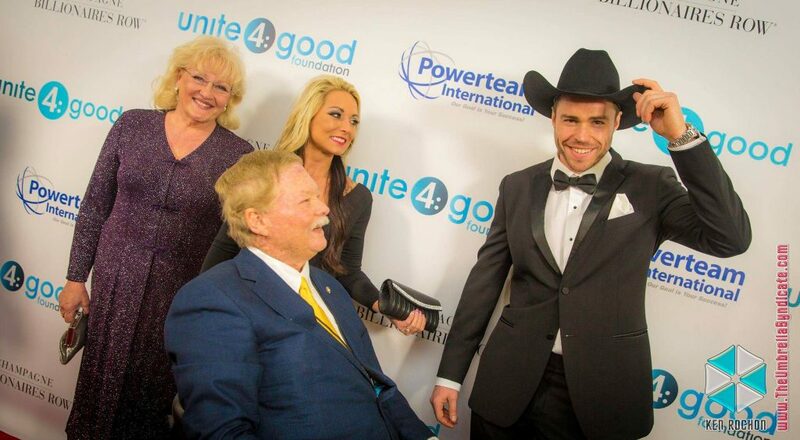 The night that I met James, I also heard Frank Shankwitz, who’s the founder of Make-A-Wish Foundation, speak. 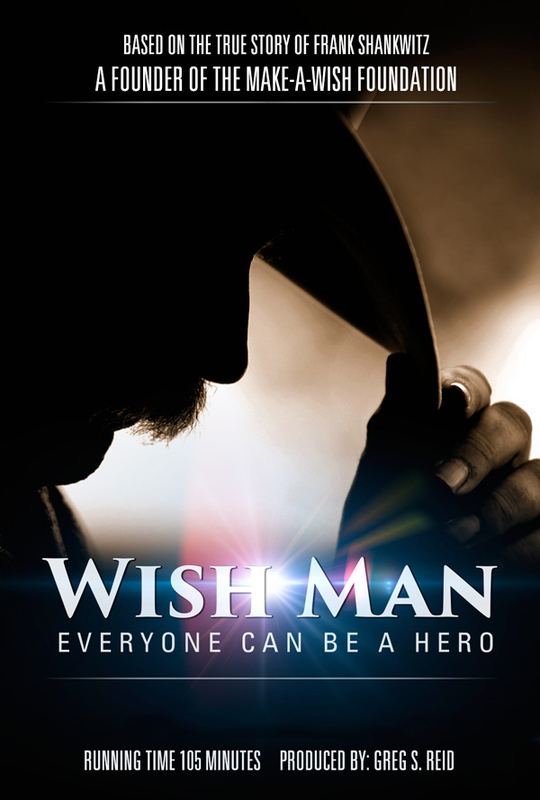 Make-A-Wish has been going for 35 years and they have granted 350,000 wishes over that time, over countless countries. So, I spoke to Frank and said, “Hey, I’m just really inspired by your story; it’s great to meet you. I’m starting my own festival now. We started talking and he kind of saw a bit of himself in me, and it didn’t hurt that I was his height, and he said, “You should be playing me in this movie. ‘Hey Greg, this guy should be playing me in the movie.’” They looked at my tapes…then got on a couple of phone calls and they asked me to come down to San Diego to audition with the writer/director. Long-story short, I got the role, so now I’m playing Frank in the biopic of his life – the story of the Make-A-Wish Foundation – up to the point where he creates the foundation. That was one of the goals I had written down [to land a lead role in the film] on a chart back home before I even got my visa and that all came about because I was putting on this festival. So, focusing my energies has delivered me this amazing opportunity, and it just comes naturally instead of waiting in a cattle call of auditions, which I’ve been doing for years. JH: Keep creating. If you stay in the attitude of creating, problems don’t get in your way. You don’t view them as obstacles because you’re doing something, you’re building. Look as the chasm; the distance between where you are, and what you wanna achieve. Go to events that appeal to you that inspire. You meet amazing people…and all the sudden an opportunity lands in your lap. AS: Good brings good will and that positive energy really does grow. It’s exciting to get up in the morning and to work on these things and to give people opportunities that they might not already have but also what can you do for other people. 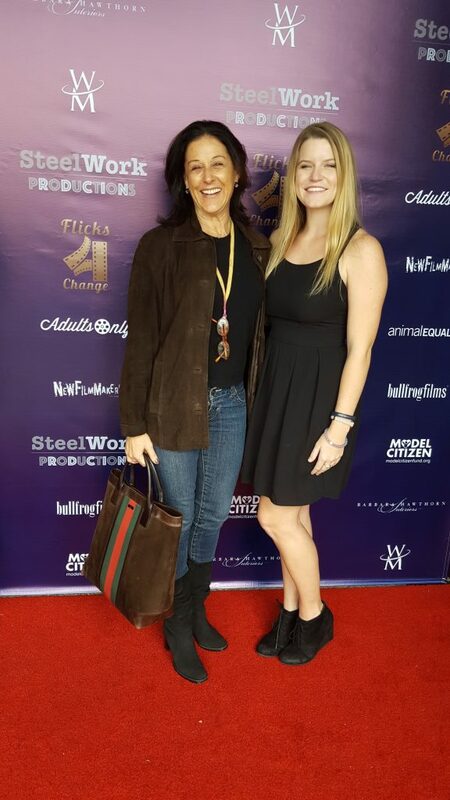 Flicks4Change is no doubt ushering in a new genre for short film festivals and the future is looking exceedingly bright.